Truly a lovely color combination. 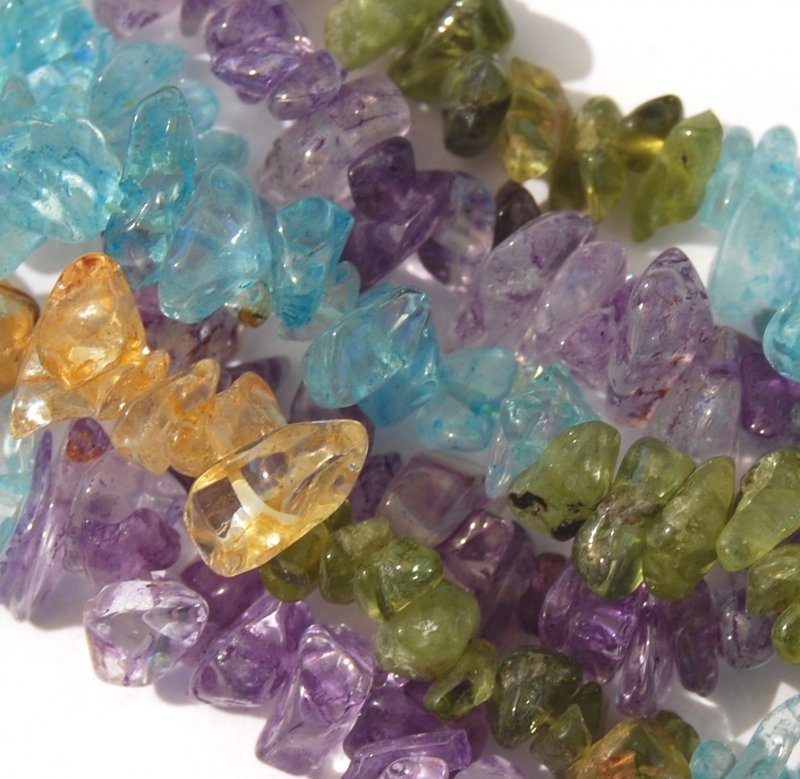 The quartz chips are (probably) dyed a vibrant aquamarine, deep purple amethyst, rich yellow citrine, and a lovely dark green color. This is a temporarily strung strand. You will receive one (1) 36-inch strand similar to that shown.